Enter the gates to paradise….every day offers new adventures and endless opportunities to relax. 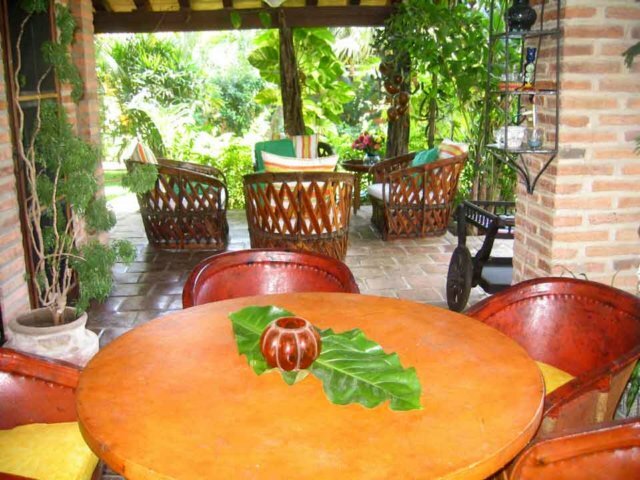 Our three Villas are comfortable, safe and affordable, luxurious and private. is truly something for every type of vacation! 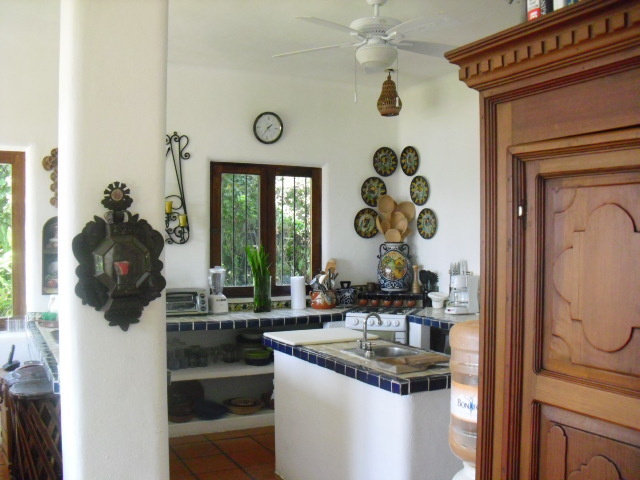 We are located in the quaint village Buceríass, Mexico nesting on the Bay of Banderas not far from Puerto Vallarta; but far enough to avoid the large crowds and relax in style and comfort. 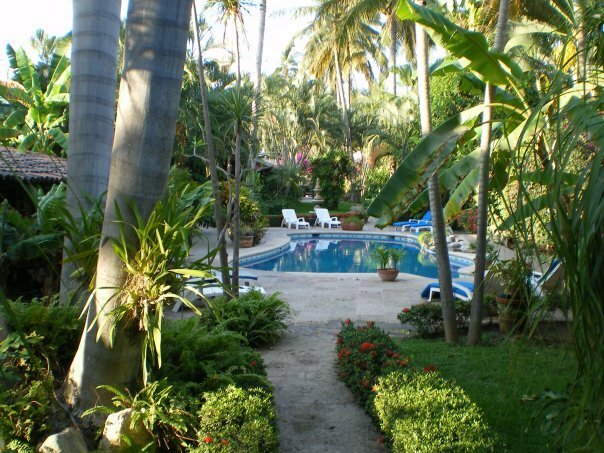 Our three Villas offer a wonderful alternative to a “cookie cutter” hotel life. 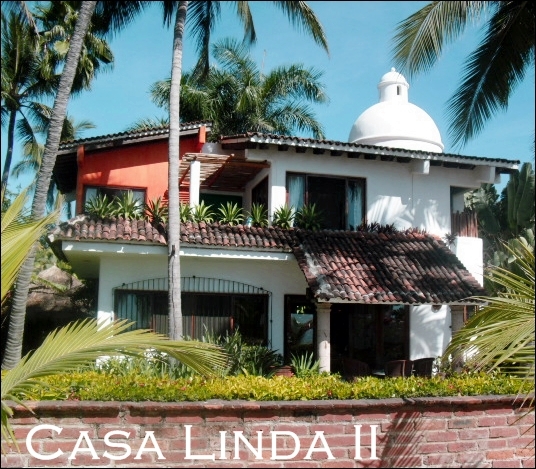 Casa Linda Estate feels like a luxurious home away from home-well, that is, if your home happened to be a magical palace on the beach! 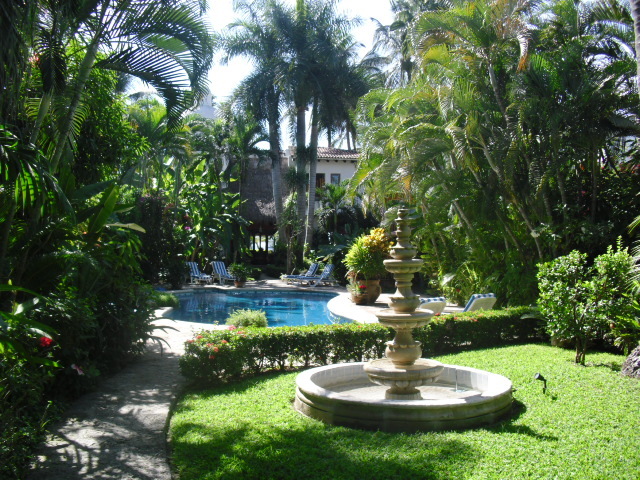 Each Villa has a unique style and many amenities for everyone. Whether you need a big space with amazing views or a small suite that lies on the pool and the beach, we can meet your needs. 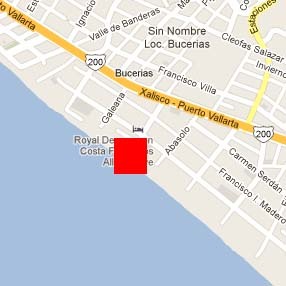 A/C, Cable TV, DVD Player, Stereo with CD player, Free WIFI access and fully equipped kitchen. Private chef available available upon request. 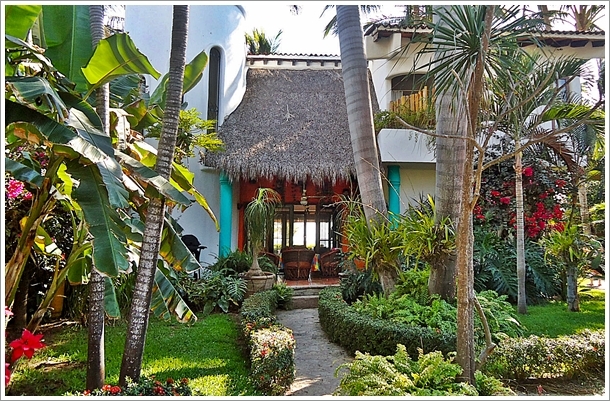 This charming Villa is built and tastefully decorated in traditional Mexican style. Features include a 45′ covered wrap around patio surrounded by tropical foliage and oversize equipale chairs for your comfort while you listen to the rippling waters of the fountain adjacent to the patio and overlooking the pool. The Villa is one story and boasts a king size bed and full bath with a spacious sitting area that completes the Master suite. The living/dining/kitchen area includes corner beds and another full bath. On the Beach!…and set against the incredible backdrop of the Bay of Banderas- known for the amazing sunsets-is this deluxe Villa! Built for entertaining, this Villa is the ultimate in vacation living -with its lush fragrant garden, ocean breezes, swaying palm trees, pool and the beach in your backyard-you will fall under the spell of the tropics! A terrace shaded by swaying palms offers the perfect spot for a tranquil massage, relaxing or a little siesta after a day in the sun. Downstairs has spacious living and dining areas, another full bath and a fully equipped kitchen. 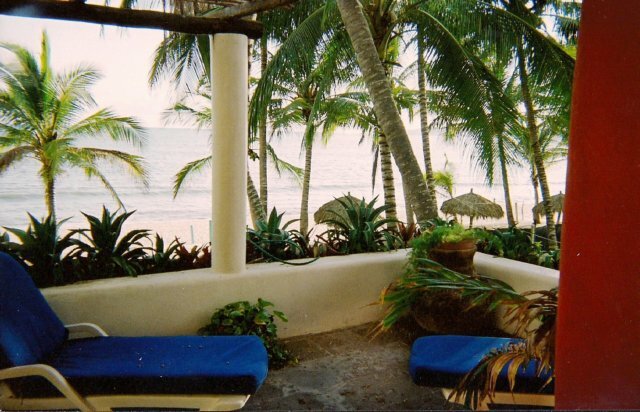 The indoor/outdoor flow offers elegant simplicity; a true haven for a much needed relaxation and for true beach lovers. Open the gates and let your feet feel the soft sand, sit under the giant palms, go for a dip in the ocean or lounge the day away by the pool-soaking up the balmy sun. 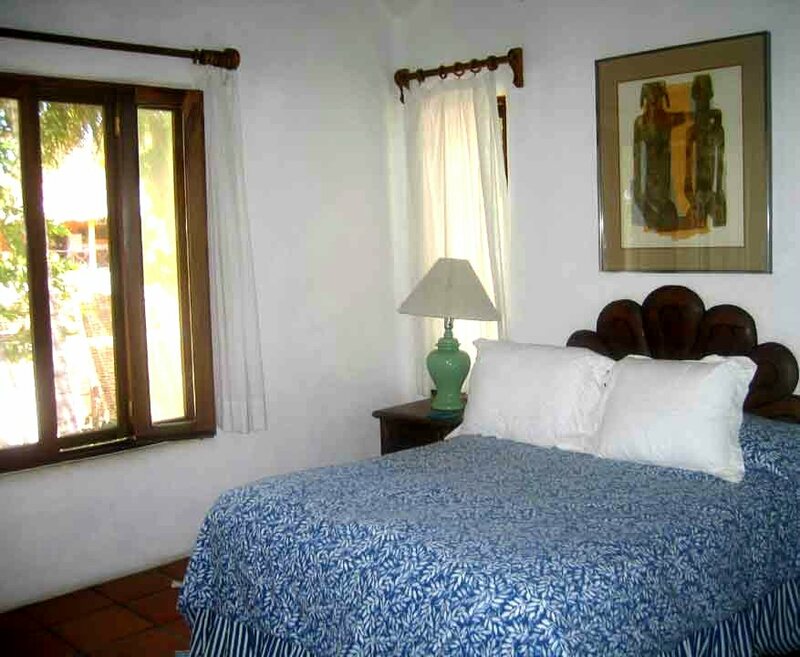 This one bedroom private Villa is perfect for a couple’s vacation, additional space for large parties (weddings-family vacations-ect. 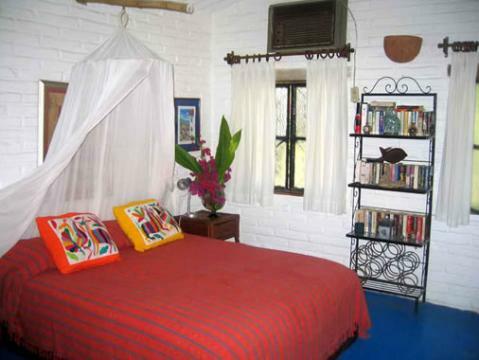 ), a nice solo getaway, somewhere for the kids to sleep or perhaps a temporary home for a writer finishing a new novel! 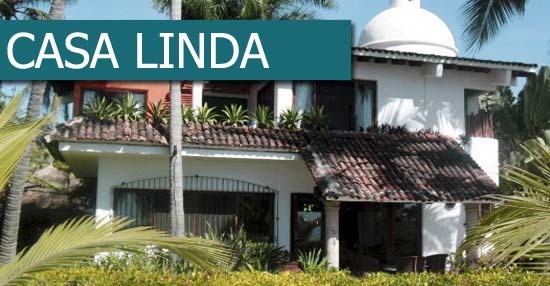 Casita Linda has the uniqueness of being on the beach AND the pool! 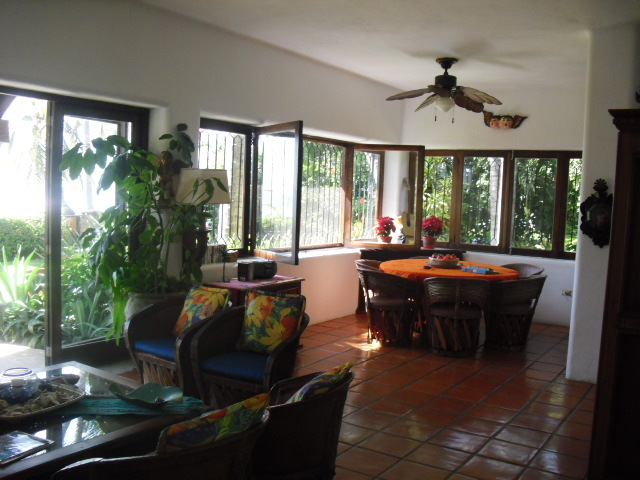 It has a studio style layout with a queen size bed, fully equipped kitchen, living and dining room facing the pool area where you can enjoy the birds, breathe in that sea air and bathe in the scents of the tropical gardens. 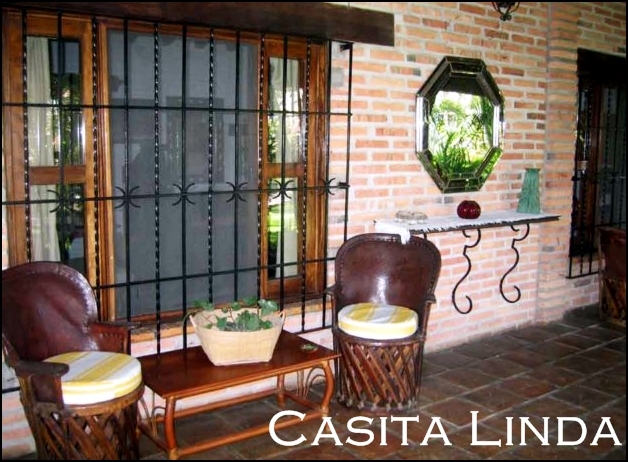 Outside the living area and covered patios are perfect for lounging with a book and cocktail or fresh morning coffee. 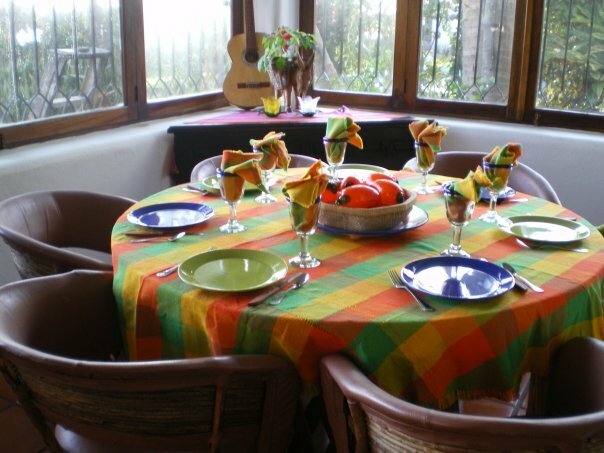 There are BBQ grills available and a full kitchen for whipping up some fresh Mexican food-or splurge and hire a private chef! Ten day stay minimum for Christmas and New Years.